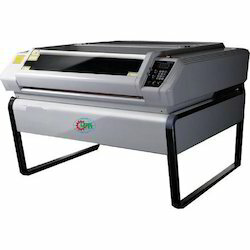 We are a leading Wholesale Supplier of label laser cutting machine from New Delhi, India. Automatic machine to process woven ribbons. uses laser cutting with high speed. Gives perfectly finished woven badges. The machine has been designed and engineered down to its smallest details to allow easy and rapid production. The machine uses the best technology and premium components to always guarantee high performance. The machine runs on totally advance software need no colour mark on woven labels. This machine has many added features compared to other contemporary machines. Looking for Laser Cutting And Engraving Machine ?